There is a large track of uninhabited land north of route 236 in Hants county. 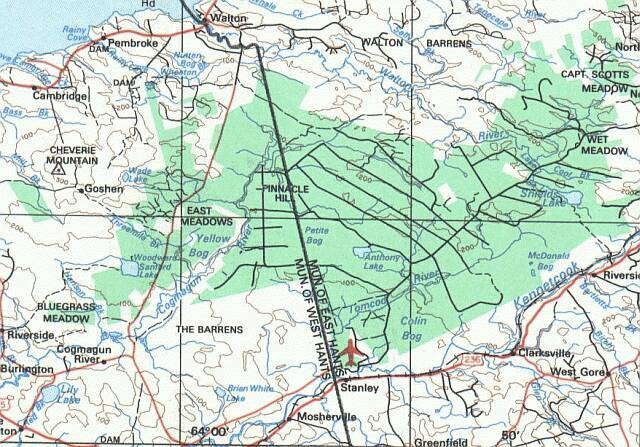 Included in this is a block of crown land straddling the border between the Municipalities of East and West Hants. Until recently this region was relatively unblemished by clear cut in the forests. In the last year and the previous years there has been an dramatic increase in forest removal. The photographs below show the effects. 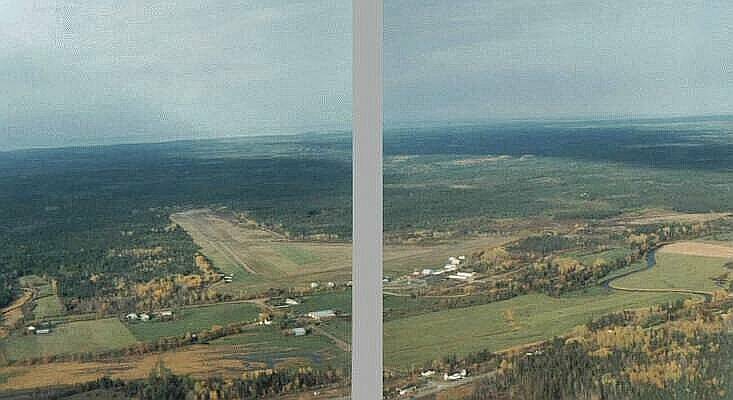 Shown above is a panoramic view of Stanley Airport and the surroundings taken in the late summer of 1999. The following are photographs taken during the late summer of 2000 over the area north of Stanley, NS. I fly from Stanley Airport in a sailplane. 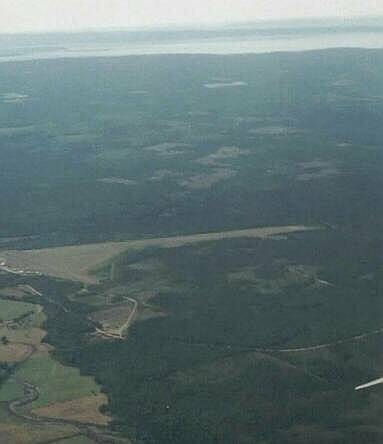 These photos were taken from that sailplane during one day of soaring. The camera was mounted on the side of the cockpit and pointed to the right where the tip of the right wing is always visible. Because height is needed to move any distance in a glider the photographs were taken from 3000-4000 feet. 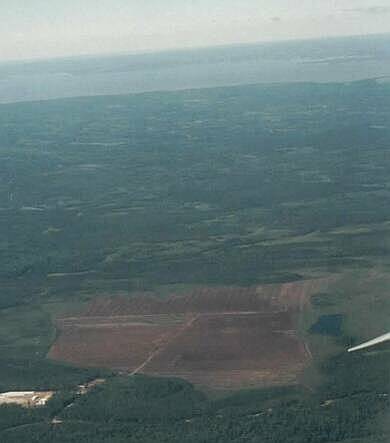 General View Westward over Stanley Airport to the Avon River showing the layout of clearcut areas Closeup of the Peat Harvesting in MacDonald Bog(?) east of Stanley. View east from east of Stanley Airport. View to the North to Walton and the Minas Basin. The road from Scotch Village is visible in the foreground. 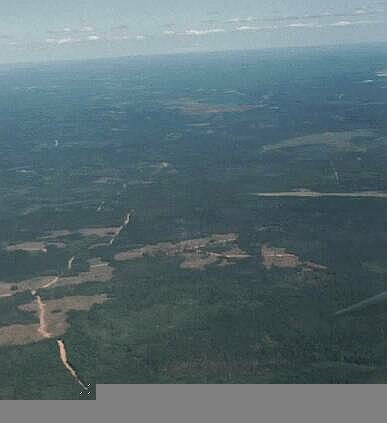 The clear cuts seen in the foreground seem to be on crown land. View South toward the Kennecook River and the agricultural land beyond. Recent cutover areas on the Barrens are prominent in the foreground. 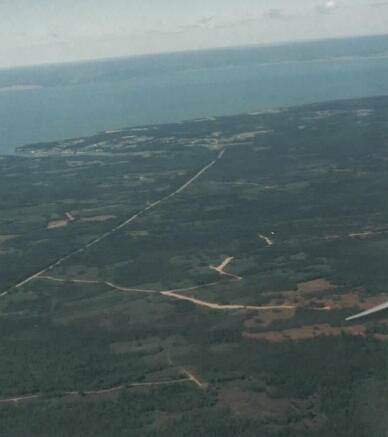 A view from over the Barrens looking east to past Stanley Airport. The peat extraction facility is visible in the distance. This photo shows the extensive cutting that has taken place in the last year on the Barrens which had not been touched until then. 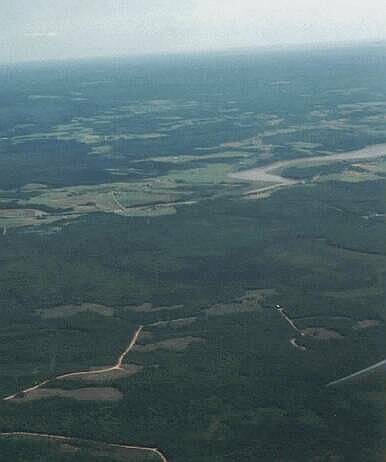 From over Stanley Airport, this photographs shows the same clear cuts as the photo to the left but looking West. 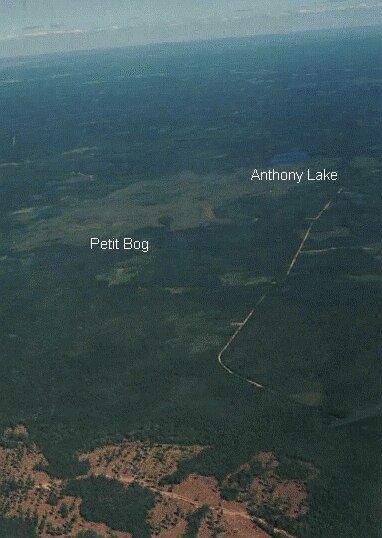 The photo to the right shows Petit Bog and Anthony lake on Crown Land north of Stanley Airport. Let's hope that this beautiful large bog and natural lake are not damaged by the extraction of peat. A recent clear cut area is in the foreground. This is in the 'Barrens' a block of private forest lands.